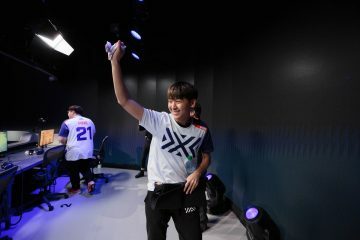 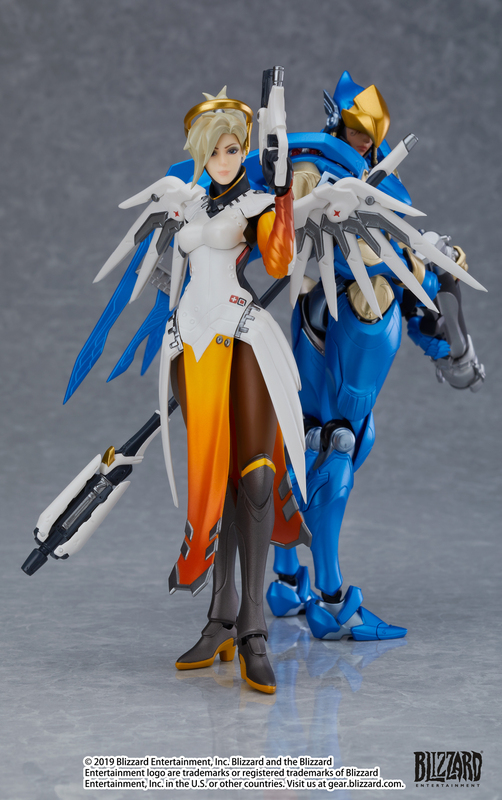 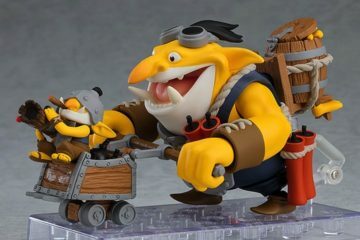 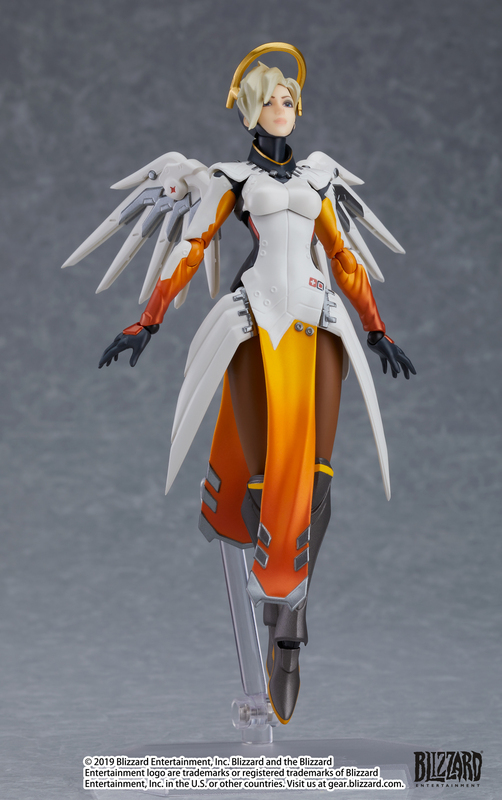 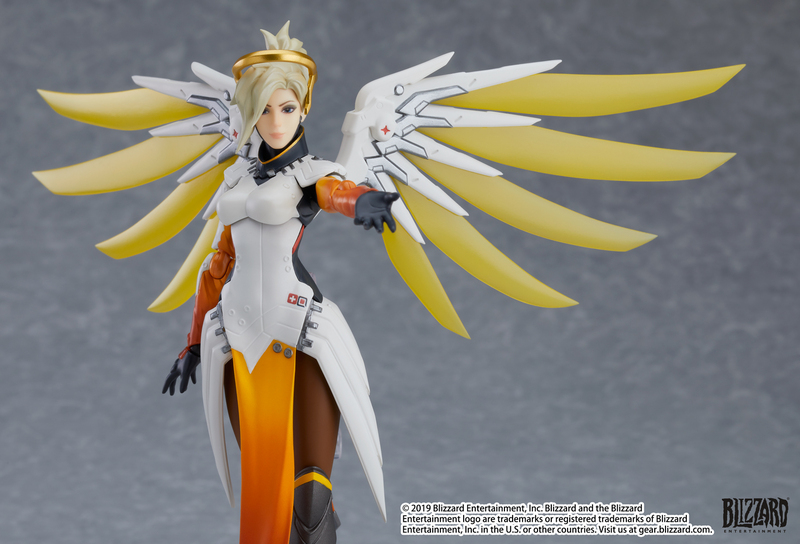 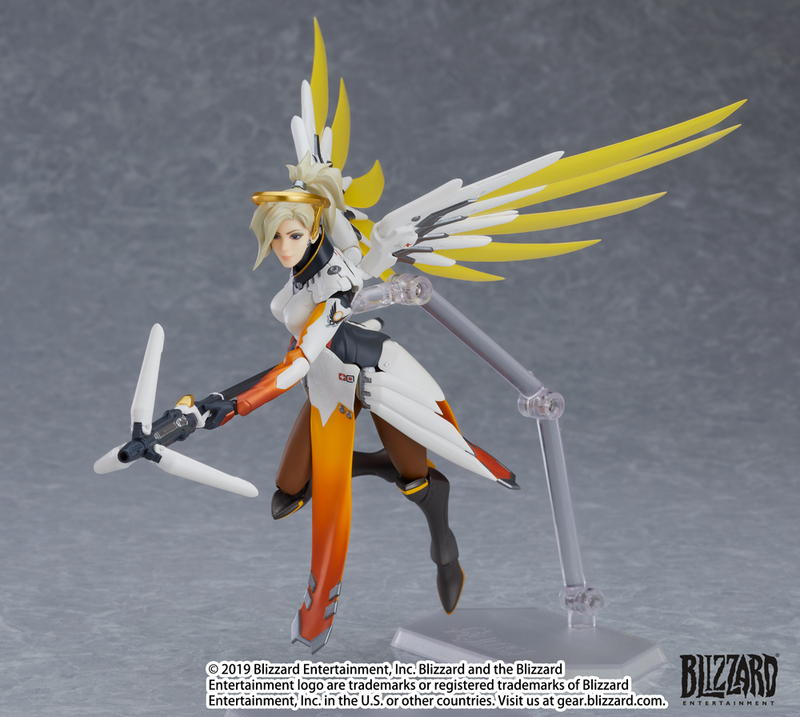 Good Smile Company, a premier Japanese collectible figure maker, has announced to us here at STG that Mercy will be the next character from Overwatch, Blizzard Entertainment’s Internationally acclaimed team shooter, to become part of Good Smile Company’s figma series of collectible figurines, joining the previously announced figma Tracer, Genji, Widowmaker, Reaper, D.Va, Zenyatta, and Pharah. 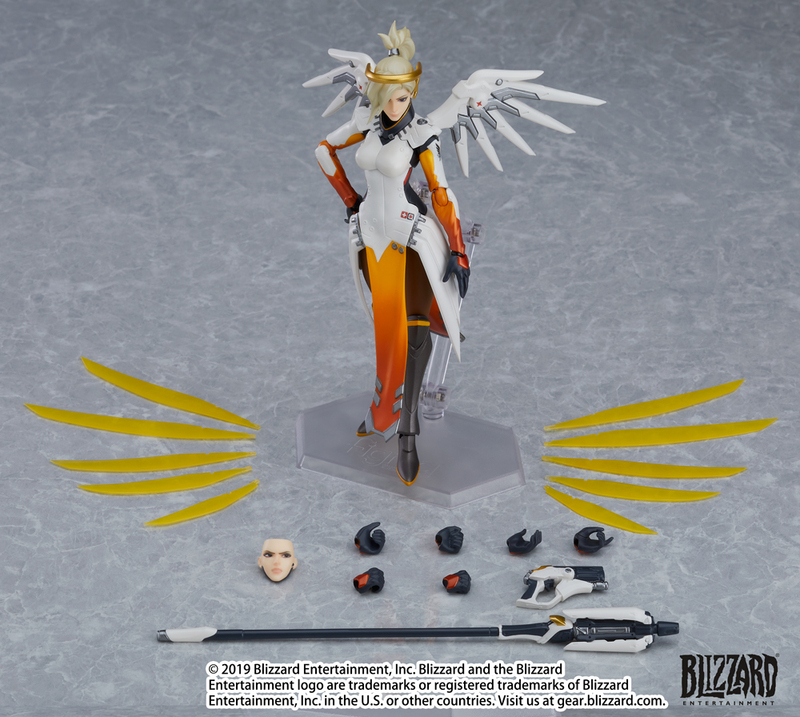 From the globally popular multiplayer first-person shooter Overwatch comes a figma of Mercy, the fully posable figma joints allow you to act out a variety of different scenes by way of a flexible plastic being used in specific areas, allowing proportions to be kept without compromising posability. 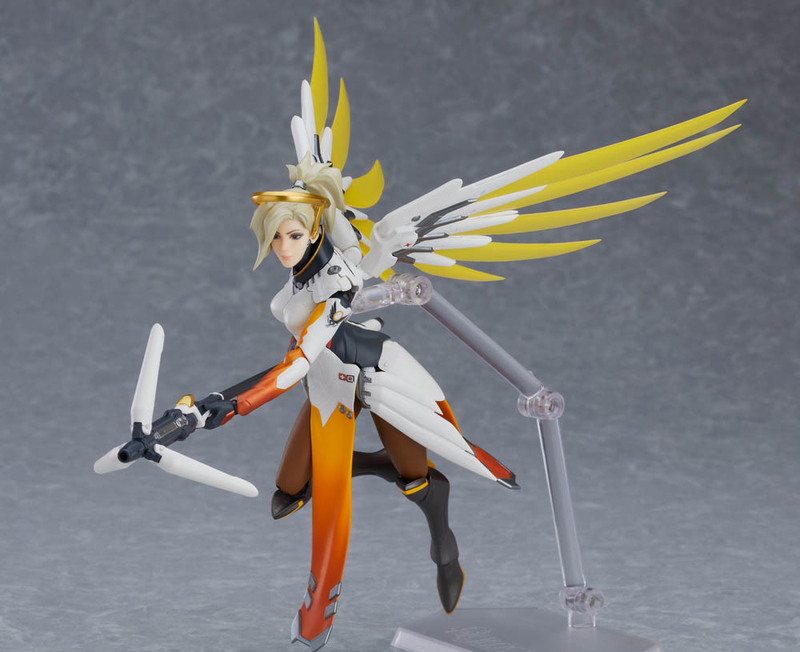 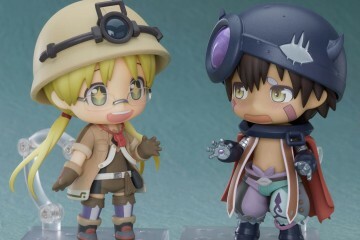 She comes with two face plates including a smiling expression and a more serious demeanor. 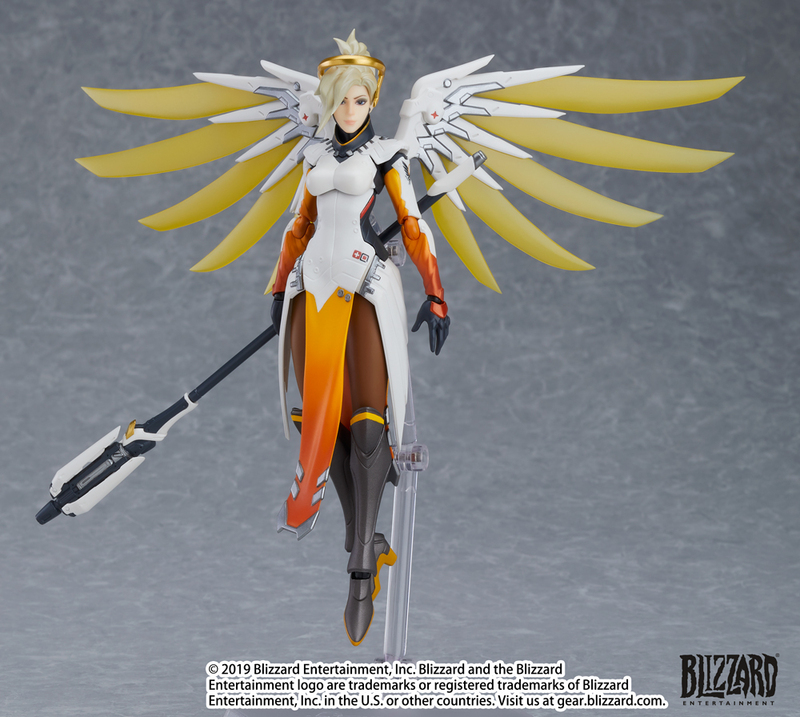 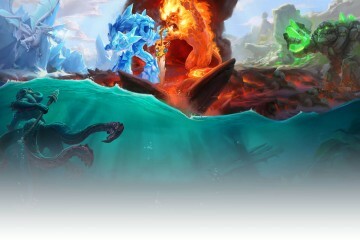 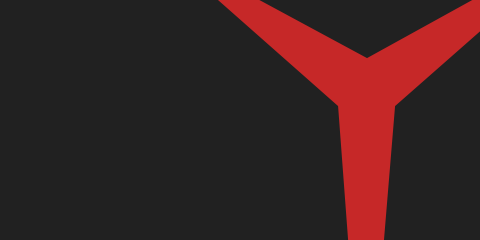 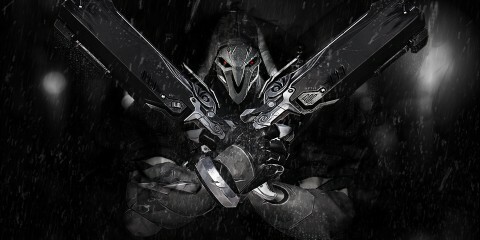 Her Caduceus Staff and Caduceus Blaster are both included and the end of her staff can be displayed opened or closed. 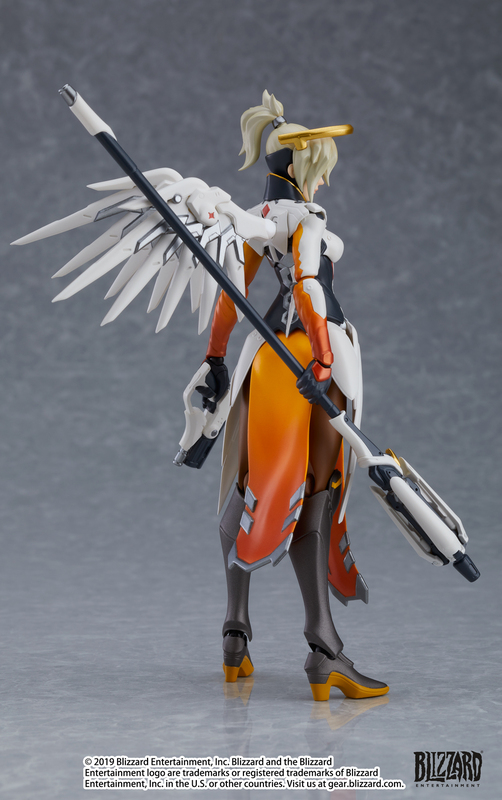 Attachable effect parts for her wings are included aswell as a articulated figma stand to facilitate various exciting poses. 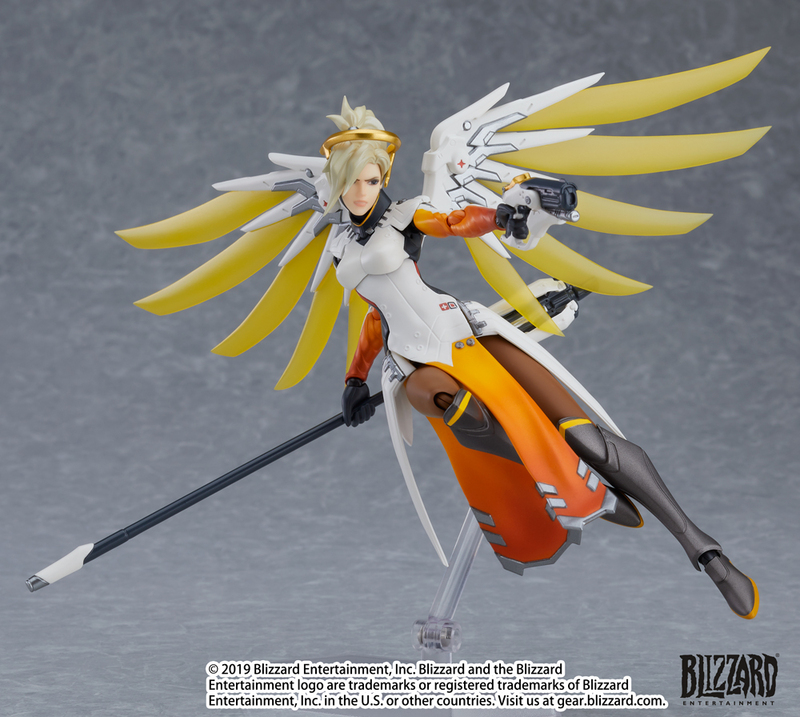 figma Mercy is now available for preorder at the GOODSMILE ONLINE SHOP.